You’d think getting into college was the hard part-years of studying for great grades, taking SATs, filling out applications and waiting in agony for the acceptance letters. 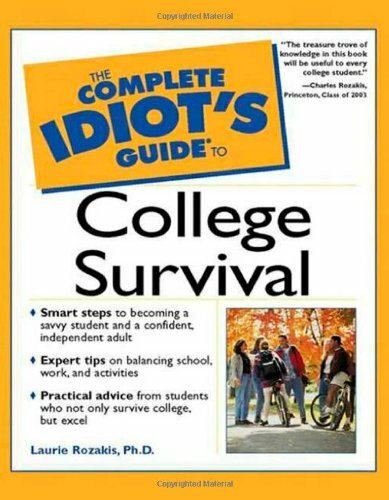 Someone should have told you that was just the beginning…The Complete Idiot’s GuideA (R) to College Survival begins where those how-to-get-into-college guides leave off, from packing gear and arriving on campus for the first time to graduation. The “bible” of college life, it offers information on making good grades, dealing with roommates, finding social activities, balancing work and other extracurricular activities and more.